If you know the way to San Jose, as Dionne Warwick sang in her 1968 hit, you know Northern California’s South Bay city actually trumps San Francisco (48 miles to the north) in population (it ranks 10th in the nation with more than a million residents, while San Francisco is 13th) and size (it's more than 3.7 times the size of San Francisco with 180 incorporated square miles). 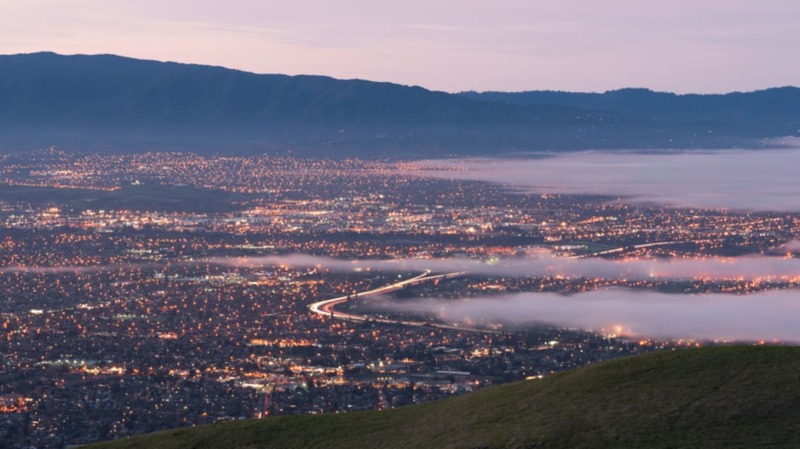 Here are 25 things you should know about the Capital of Silicon Valley. 1. Spanish colonizers founded the city on November 29, 1777, and named it El Pueblo de San Jose de Guadalupe after both Saint Joseph and the Guadalupe River. 2. A trio of California firsts: San Jose was the state’s first civilian settlement, the first capital from 1849 to 1852, and the first incorporated city on March 27, 1850. 3. The city’s Japantown celebrated its 125th anniversary in 2015. Before World War II, there were 43 Japantowns in California alone, but after the incarceration of Japanese during the war and the urban development that took place in the 1950s and 1960s, the only ones that still exist today are in San Francisco, Los Angeles, and San Jose. 4. San Jose also has had five Chinatowns. The first was established in 1866, but none survived past 1931. Three were destroyed in fires, one in a flood, and the last during the city’s redevelopment. 5. Nicknamed the Capital of Silicon Valley in the 1990s, San Jose’s largest high-tech employer is Cisco Systems with 13,600 employees as of 2013 [PDF]. Rounding out the top five are eBay with 4700, IBM with 4200, Hitachi with 2070, and Adobe Systems with 2000. 6. San Jose International Airport, which was renamed the Norman Y. Mineta San Jose International Airport in 2001 after the former United States Secretary of Transportation, now serves 8.3 million passengers a year. One of its largest guests was the elephant Tai, who shut down the now-demolished Terminal C for three nights in 1995 while filming Larger Than Life with Bill Murray. 7. With a long history of a low crime rate (32.8 crimes per 1000 residents [PDF]), SmartAsset ranked San Jose the sixth safest city in the nation last year. 8. After losing both her infant daughter and her Winchester rifle manufacturer husband, Connecticut native Sarah Winchester was told by a medium that her loved ones’ untimely deaths were caused by spirits killed by Winchester rifles and she might be next. Her solution: Move west and keep up continuous construction on a home for the spirits. She started building in 1884 and went nonstop through her death in 1922. The mansion, which has 950 doors, 10,000 windows, 40 stairways, 47 fireplaces, six kitchens, and "miles of twisting hallways," opened to the public in 1932 and offers 55-minute flashlight tours every Friday the 13th. 9. Krazy George Henderson, who began cheerleading at San Jose State in 1968, is credited as the inventor of The Wave. He first used it in a routine on October 15, 1981, during an Oakland A’s vs. New York Yankees game. 10. Pet quota! Current San Jose laws limit owners to five licensed animals total—and no more than three dogs. Yes, two dogs and three cats is okay, five cats are fine, but don’t dare break the law with two dogs and four cats. 12. One of California’s first wineries was San Jose’s Old Almaden Vineyards on Blossom Hill Road, established in 1852. The business survived Prohibition by using the grapes for juice and medicinal and sacramental wines, but the land later became a library and condos (part of the property was destroyed in a 1989 fire). The winery still operates, but now out of Madera, California, 121 miles from its original site. 13. Rock band Smash Mouth—famous for 1997’s “Walkin’ on the Sun” and 1999’s “All Star”—also calls San Jose home. Now-defunct local station KOME first played their demo, "Nervous in the Alley,” before they were signed to Interscope Records. 14. It has eight siblings. San Jose was the third to join the national Sister Cities program when it connected with Okayama, Japan, on May 26, 1957. The other seven sisters cities are: San Jose, Costa Rica, in 1961, Veracruz, Mexico, in 1975, Tainan, Taiwan, in 1977, Dublin, Ireland, in 1986, Pune, India, in 1992, Ekaterinburg, Russia in 1992, and Guadalajara, Mexico, in 2015. 15. For eight years in a row beginning in 2007, San Jose resident Joey Chestnut won the Fourth of July Nathan’s Hot Dog Eating Contest at New York City’s Coney Island—until 2015, when downing 60 dogs in 10 minutes just didn’t cut the mustard. He was edged out by 23-year-old Matt Stonie who ate 62 … and also hails from San Jose. 16. Speaking of big eats, San Jose’s Iguanas taqueria is home to Burritozilla, a five-pound, three-foot long burrito, made of three tortillas. Chestnut once finished it in an impressive 3 minutes and 10 seconds, but Stonie later gulped it down in a minute and 50 seconds. 17. Every holiday season, Christmas in the Park takes over Downtown with nearly half a million visitors exploring 500 decorated trees and 40 animated displays on two acres of Plaza de Cesar Chavez. The San Jose tradition started in the 1950s at Willow Glen’s Lima Family Mortuary lawn and moved to its current location in the 1980s. More than 5000 candy canes are handed out at the park’s Santa’s House annually. 18. The Del Monte Corporation (and its predecessors) processed fruits and vegetables in San Jose from 1893 to 1999 at Plant Number 3 located between San Carlos Street, Auzerais Avenue, and Los Gatos Creek. Seasonal employees made up a majority of the company's workforce, many of whom were working mothers. 19. The 55-year-old, 120-acre San Jose Flea Market on Berryessa Road, with more than 6000 weekly vendors, is where Amir meets his future wife in Khaled Hosseini’s 2003 New York Times bestselling novel, The Kite Runner [PDF]. 20. Established at the corner of West Saint John Street and North Almaden Boulevard in 1908, the new Progress Hotel, renamed the Torino Hotel in 1914, was a boarding house for new Italian immigrant workers and also known for serving generous portions of Italian food. In 1960, Henry Puckett took over the abandoned hotel and opened Henry’s Hi-Life, famous for its baby back ribs and for being featured on season one of Man Vs. Food. 21. On top of Mount Umunhum (meaning “resting place of the hummingbird”)—technically in the 95120 zip code of San Jose’s Almaden Valley—is a five-story concrete radar tower that was used during the Cold War. Often called The Cube or The Box, the structure, completed in 1962, was used to detect incoming hostile aircraft at the former Almaden Air Force Station. Sitting on the fourth highest peak in the Santa Cruz Mountains with views of the Monterey Bay, San Francisco Bay, and Downtown San Jose, the summit was closed in 1980. There is currently an effort to reopen the area with trails, viewing areas, and a habitat in Fall 2016. 22. Steve Wozniak, who founded Apple Computer with Steve Jobs in 1976, was born in San Jose. As one of the main benefactors to the purple triangle-shaped Children’s Discovery Museum of San Jose, the street outside of it is named after him—Woz Way. 24. Caitlyn Jenner launched her Olympic training in 1973 in San Jose, where she and first wife Chrystie Crownover lived in a Fruitdale Avenue apartment. Jenner drove a VW bug and trained at San Jose City College and San Jose State University’s tracks. For almost 20 years, San Jose hosted a track and field invitational in her honor. 25. San Jose, hometown of 1996 gold medal-winning Olympics women’s gymnastics team member Amy Chow (who is now a physician), is continuing its transformation into “Gymnastics City, USA.” The 2016 Olympics trials for the sport will be held at SAP Center on July 8 and 10.